What does it mean when my hands become hot? When your hands become hot it can mean that they are getting energized. Some people find this uncomfortable, and shake their hands after healing sessions to dispel the energy. Healing energy can take the form of coolness too, so don’t think that just because your hands aren’t hot that nothing’s happening. We are composed of flesh and blood, but also of subtle energy. Chinese Medical Practitioners call it “chi,” a vital substance which penetrates the body and extends many feet beyond it. From an intuitive point of view, these vibrantly colored energy fields, whose centers are called chakras have a significant effect on our health. For that reason, it is important that we learn to sense this energy within us, recognize when it is off, and learn to correct the imbalance. Feeling energy can be very sensual, an extension of love. Learning to tap into your body’s energy is healing. 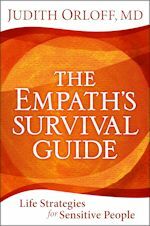 I recommend reading my books The Empath’s Survival Guide and Guide to Intuitive Healing to learn more about healing energy and careers for sensitive people.